Tributes have been paid to a former regional daily journalist who has died eight months after being diagnosed with cancer. John Slim, 83, left, a reporter at Midlands titles for many years, was told last year his condition was terminal and decided to pen his own blog. David Brookes, Editor-in-Chief, Trinity Mirror Midlands, said: “John was, quite simply, a lovely chap with a great local knowledge. The Bromsgrove Advertiser reported that his widow Elsa, whom he had been married to for 58 years, called him a “lovely man with a tremendous sense of humour who was much loved by the people he knew”. “Words were his life,” she said. “He was happy in the world of words and loved what he did.” she added. 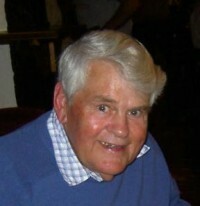 John, from Lickey Hills, near Bromsgrove, died last week. He had been diagnosed with cancer of the bile duct. He started his career in Kidderminster at The Shuttle in 1951 and went on to work on the Birmingham Gazette, Evening Despatch and Birmingham Mail. From 1968-91, until he retired aged 60, John specialised in major interviews and personality profiles and was The National President of the Institute of Journalists from 1977 until 1978. John interviewed many household names, including Muhammad Ali and Morecambe & Wise, but Elsa said that he enjoyed interviewing people from every walk of life. She said he liked discovering the quirky stories and characters that are at the heart of local journalism. “His stories have kept us all amused for years,” said Elsa. As well as journalism, John was a big fan of a more creative style of writing. Over the years he penned thousands of poems and limericks, and he always spoke highly of the standard of local theatrical productions in and around the area. In his blog John wrote: “I’m 82 and I’ve had a good run, a lot of jolly, happy decades in which I have deployed my insistence on failing to understand any given situation in the knowledge that if everything is not quite hunky dory it will eventually go away. He is survived by his widow, four children and nine grandchildren. A thoughtful and fastidious wordsmith, and a nice bloke too. Still remember, my first day at the B’ham Post/Mail, with the editor zooming all over the place and the news desk in its usual frantic meltdown mode, that he was the only person who took the time to walk over and to calmly say ‘Hello’. I feel very privileged to have known him – both at the Post and later when I became active in the Institute. He was a true gentleman and is a sad loss to the profession. Our thoughts are with Elsa and all those whose lives he touched. Paul Leighton, President, Chartered Institute of Journalists. A true friend is hard to find and John was a true friend to me over many years. We met through the IOJ when I was Editor of Wolverhampton & West Midlands Magazine and he was president of IOJ. Together we always had fun and I loved his sense of humour and the way he giggled, usually over the most simple of observations. He gave wisdom with humour in the most caring way. For me the world is a lesser place without John Slim in it. My blessings and love go out to Elsa,his children and his grandchildren. We must all count ourselves fortunate to have know such a great man. I had the horrible job of telling John we no longer ‘needed’ his freelance contributions back in 2008. We did need them, of course, but the company was simply cutting back all freelance expenditure as we dived into recession. Instead of moaning, John and I shared several bottles of rose wine – sparkling, dry, then sweet – during a long lunch sitting outside a wine bar in Birmingham city centre on a hot afternoon . “Well,” said John, a bit wobbly after too much to drink, like me. “If the Birmingham Mail is paying for all that [it was], I’ll have to graciously accept my second retirement. Thank you.” A class act. Lovely bloke. He spent too many years on courts and councils for the B’ham Mail in the Redditch Office with Mitch Clews. Nothing wrong with district work – and Mitch was/is a decent bloke too – but I could never understand why the Post and Mail took so long to appreciate his talents and give him a wider audience. Lovely writer too, one of the best.